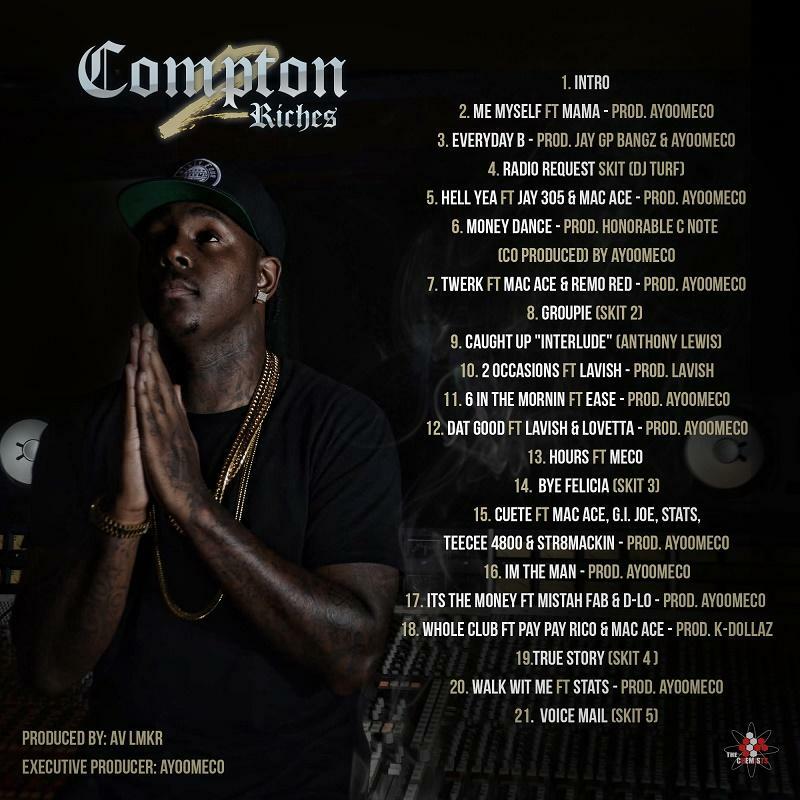 Download Compton AV's new mixtape "Compton 2 Riches." 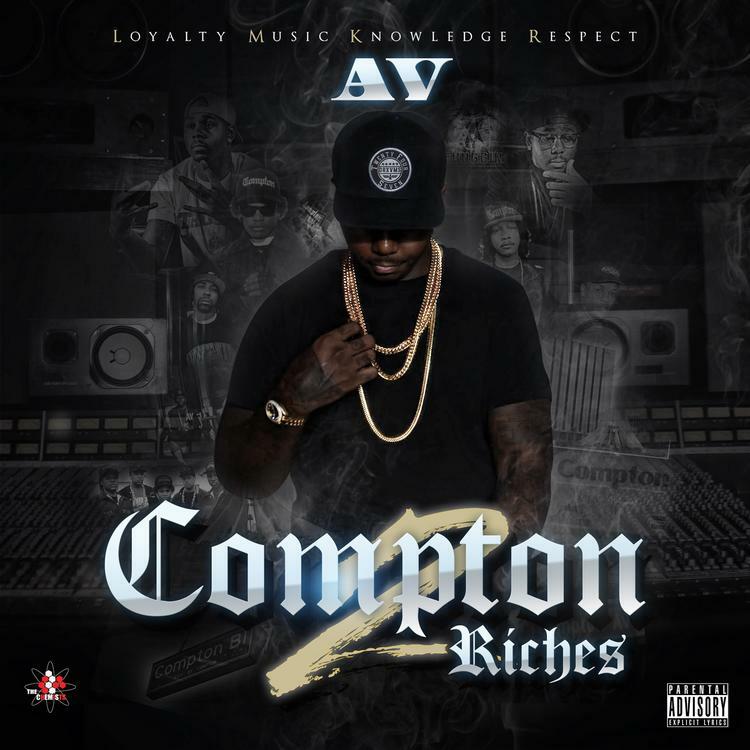 Compton’s AV decides to come through this week and release his brand new mixtape called Compton 2 Riches. 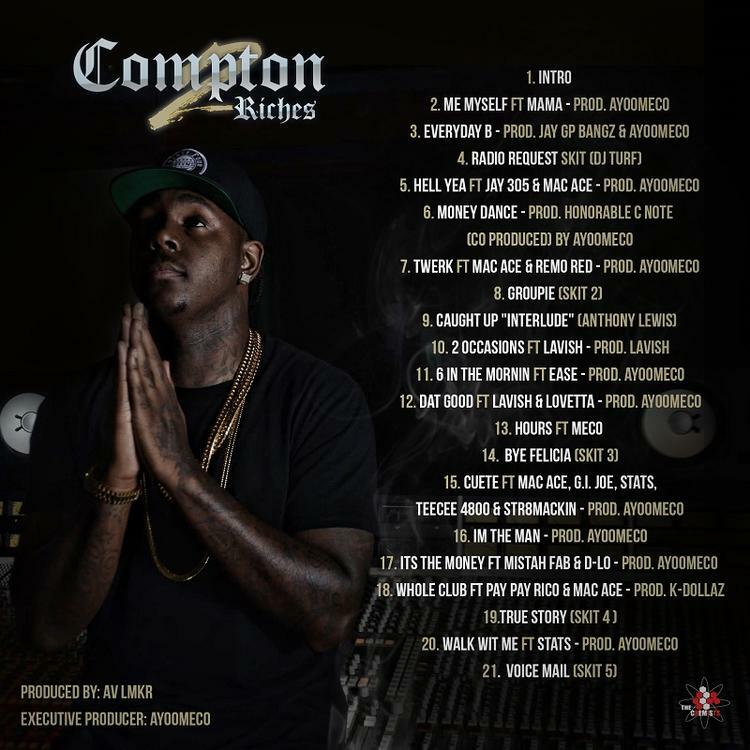 Laced with 21-tracks, five of which are skits, the project features guest appearances from Jay 305, Teecee 4800, Mac Ace, Mistah Fab, Meco, Stats, and many more. Meanwhile, production is handled by the likes of Honorable C Note, Lavish, and Ayoomeco, who also happens to serve as the project’s executive producer as well.